The title “Bombing Hitler’s Dams” fascinated me when I saw it featured on my TiVo last night. The story told was that of a group led by a smart, creative, and somewhat crazy Cambridge University engineer Dr. Hugh Hunt trying to recreate all the engineering elements needed to blow up a dam with a bomb that skips along the surface of the water the same way that a flat stone skips over a calm pond. While we all know intuitively how to throw a flat stone at the right speed at the correct angle, imagine to do it from an aircraft dropping a bomb to skip a few hundred yards over the surface of a reservoir, kiss the dam, sink, then blow it up via a depth charge. After many elaborate tests starting with 3 foot baby’s pool 5 inches deep, the show concluded with the real blowing up of real dam in northern Canada by a much enlarged group of engineers, construction workers, students, pilots, contractors, etc. The story reminds my of my adviser, Dr. Richard Garvine (an aeronautical engineer by training) whom I met in 1986 while a physics student from Germany studying physical oceanography for a year in Bangor, Wales. Rather than returning to Germany, I went to the United States for graduate school where I met my sweetheart. One of my first graduate assignment was to study the “breaking dam” problem (Stoker, 1948: “The Formation of Breakers and Bores”, Communications of Pure and Applied Mathematics, 1, 1-87). The “breaking dam” problem is now a classical problem in fluid dynamics that relates to breaking waves, tsunamis, tides, as well as the discharge of fresh water from cooling plants, estuaries, and glaciers. I applied it to tides in the Conway Estuary in North-Wales for my MS thesis that the Swedish Royal Society saw fit to publish as my first contribution to science. 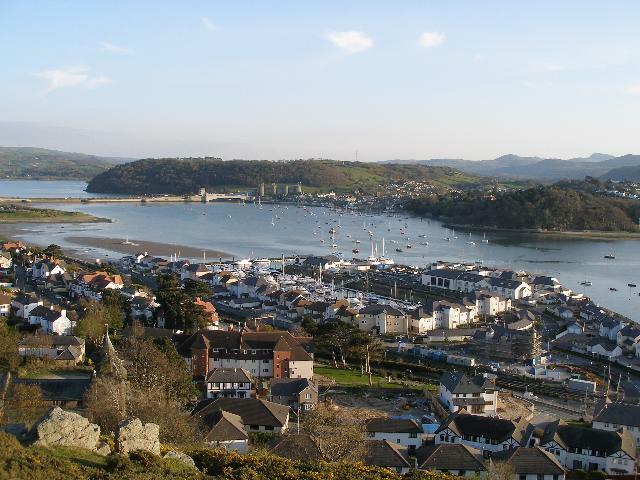 Conwy Estuary at its mouth near high tide. I stole the above photo of the Conway Estuary, North Wales from a set of beautiful travelogues of an area where I camped for 6 weeks to guard instruments that measured currents along the 50 km tidal reach of this beautiful estuary. The tides rush in like the waves of a breaking dam, yet, they do not break (no bore forms, why?). 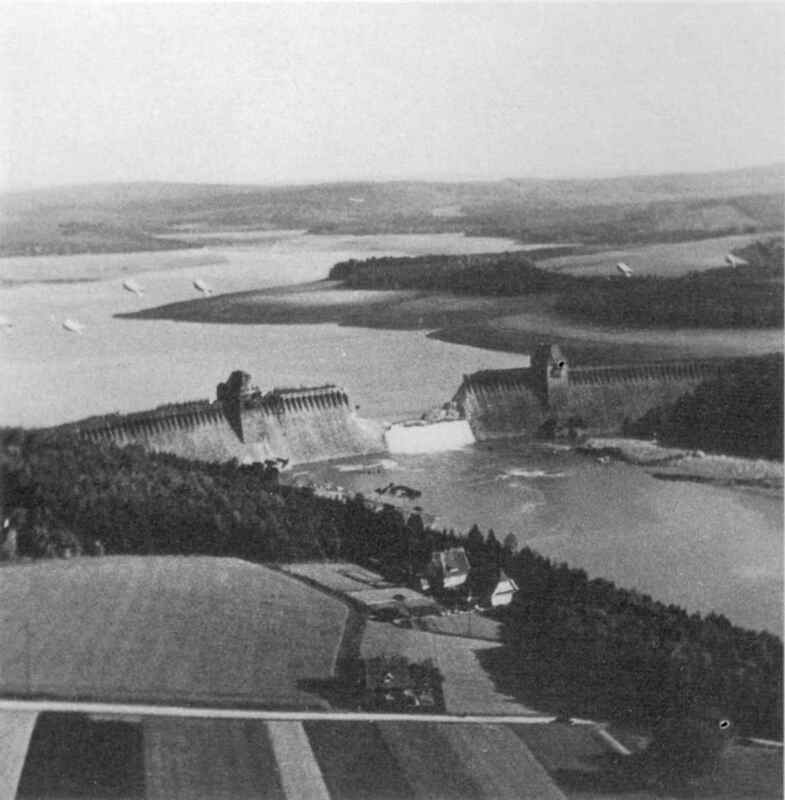 To model the physics, I needed to study the work done by American, British, and French engineers who labored hard to defeat Nazi Germany by blowing up actual dams developing new and applying old ideas in physics and engineering along the way. Studying their work, I got my answer, too. Addendum: A review of the aftermath and devastation of the 1943 flood wave from a German perspective is posted here with original photos from both British and German sources. This entry was posted in Oceanography and tagged Conway Estuary, floods, freshwater, physics, predictability, war, waves. Bookmark the permalink.